Twins pitcher Jose Berrios is Box-Toppers Player of the Day in Thursday’s Opening Day games. Berrios struck out 10 over 7 2/3 scoreless innings, allowing two hits and one walk, in the 2-0 win over the Indians. 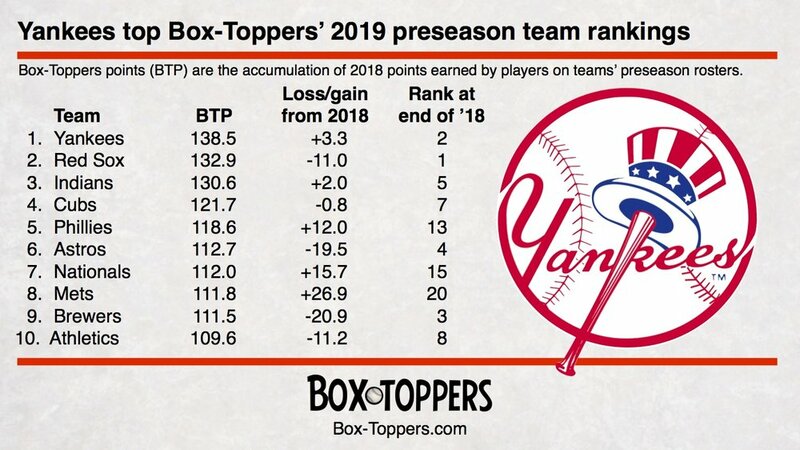 Striving to create a more perfect Box-Toppers, I discovered some errors in player tracking in 2018 and have been correcting them in recent weeks. There were 10 total errors I discovered that changed the Box-Toppers point totals for 17 different players. Those errors were discovered after re-examining about one-third of the 2,430 games played in the 2018 season. So in other words, after looking at about 830 games, I found 10 errors. The Boston Red Sox hold nearly all the advantages over the Houston Astros in the coming American League Championship Series. But the Astros are the defending World Series champions and return in 2018 with a largely unchanged roster and even more wins than they had last season (103 vs. 101).